I love a great story, don’t you? Few pastimes offer more pleasure than a mug of hot tea, a cozy blanket, and a riveting story while the wind pelts rain against shivering windows. Everyone has a story. A distinct, one-of-a-kind story. Our lives carry a unique slant, one that’s exclusive to each of us. Penned without ink, your story and mine resemble a book in process. The first chapters reflect when and where we began our lives; they lay the foundation, coloring much of the rest of the story. While the main characters wander in and out of our paragraphs, the plot thickens with tension and misgivings and relaxes with humor and celebration. We all hope for a satisfying conclusion. Sometimes we take pleasure in chronicling our journeys. We find a certain satisfaction in reviewing our past chapters and a spirit of anticipation as we outline the future. 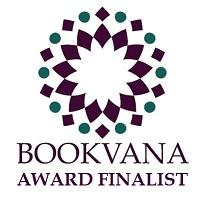 We have our bookmarks in a good place. But at other times there's too much tension between the lines and too many unexpected outcomes and disappointing characters. We feel like a writer trying to spin a credible story, only to find our ideal paragraphs deleted and replaced with a curious and unfamiliar narrative. We struggle to find hope in chapters of disillusionment, devastation, and loss. What then? 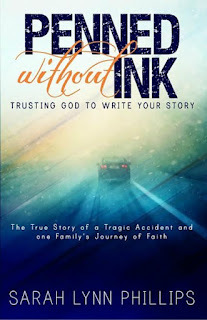 Penned Without Ink: Trusting God to Write Your Story will draw you into the true story of one family's journey of faith. It begins with a near-fatal car crash, resulting in trauma, uncertainty, and life-long limitations. Their experiences will lead you to sit at hushed bedsides, observe delicate operations, and feel the angst of life and death decisions. In the midst of multiple layers of pain and loss, you will witness quiet miracles, sure and certain lights that pierce through the darkness. With portrayals of both present-day individuals and biblical characters, Sarah captures the essence of hope born through her struggle to trust and rely on God. Between the lines, you will also uncover your own journey of trust. 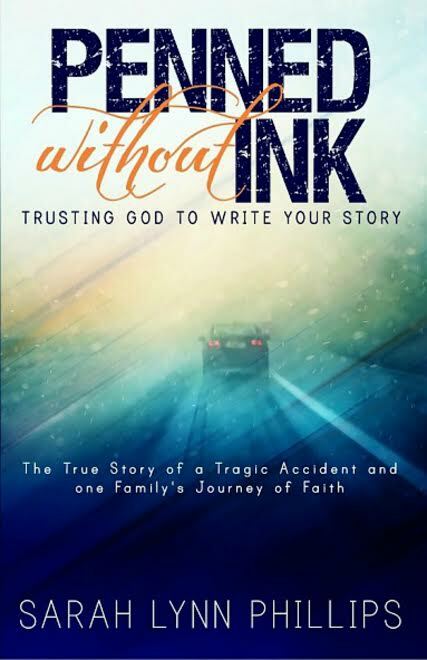 A faithful and loving God desires to write your life story--no matter what happens. To order paperback, Kindle, or audiobook on Amazon.com, click here. 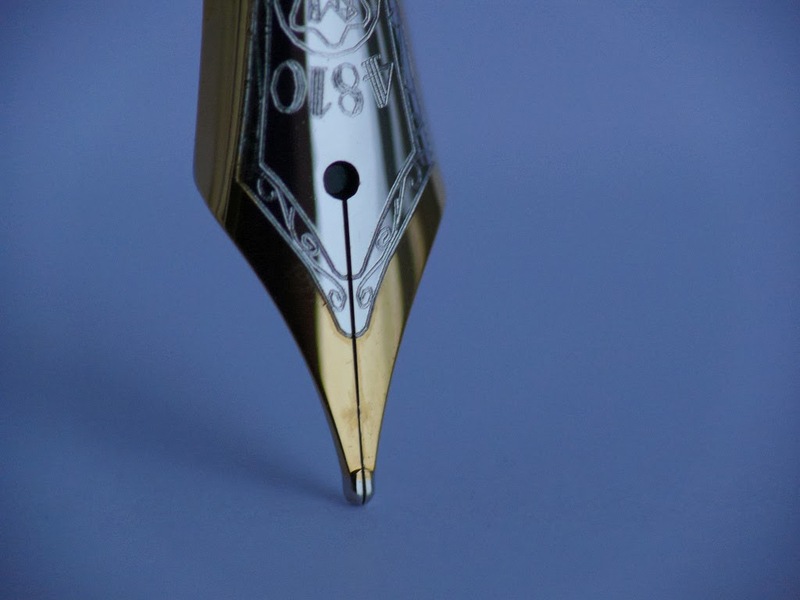 Sign up for the PENNED WITHOUT INK quarterly newsletter here. 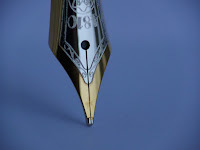 To read an article about Penned from The Abington Journal, click here. I remember you, Portia! Thank you for connecting and for your kind words. About the cross . . . the cross-piece is directly to the right of the car in black. Does that help? What kind of memoirs are you writing? Would love to read them if they're in print. Blessings to you! Thank you for writing Penned Without Ink. What a blessing and encouragement that came out of your courage and desire to walk closely to the Lord! Your book had been on top of some magazines on my coffee table for a while. Finally picked it up and didn’t want to put it down. I had to keep a box of tissues close by! I really appreciated your openness as well as directing the readers’ attention to our Lord who can be trusted. My heart went out to you and family as I read the details of the accident, recovery, and reminder of Barry going to be with the Lord. Thank you for your desire to minister to others. Thank you, Jan, for connecting - and for reading our story. God's faithfulness continues to sustain us all. Blessings to you in your journey.